Today, about one in three American kids and teens are overweight or obese. The prevalence of obesity in children more than tripled from 1971 to 2011.. With good reason, childhood obesity is now the No. 1 health concern among parents in the United States, topping drug abuse and smoking. Much like adults, children need an incentive to go outside and play. There has to be some sort of benefit that will outweigh slaying the Dragon King on Level 55 of their favorite game. More often than not, we’ve seen “gamer kids” shed their headsets for a back quiver after firing that first arrow. We’ve seen overweight kids walking lap after lap to pull their arrow from the target after hitting their mark. The isometric exercise of drawing the bow will not only increase muscle strength but also aid in development of that all important tendon strength. Many parents have brought children to our classes due to issues with concentration and focus. Children have come to us with a variety of issues such as learning disabilities and ADHD. After a few classes, the parent is amazed and starts asking for the “magic formula” we are using. No magic……just archery. There are many complexities that must take place to ensure a properly made shot with the bow. Most of these children have difficulty focusing on one particular thing but in archery; there are MANY things to focus on at the same time. However, the real trick is that those “many things” the child is focusing on are actually just steps to get to that “one thing” which is hitting the target. The result is that the child is conditioned to understand the importance of taking all of that clutter and focusing it into one final goal. In our case it is hitting the target but according to our parents, this also connects to better focus in school work as well. One of the aspects we always sought to bring to our archery programs was the introduction to archery history. Some of the highlights that our students have always enjoyed was all of the different bows offered here at Odinson Archery. Whether it was the Japanese styled yumi hankyu known as “The Ronin” or the deadly Mongolian styled “Subotai” or “Assassin” bow; many kids never truly understand just how important these bows were to the history of the world. For others, our bows offer a connection to their ancestry. The Comanche Bow allows those of Native American descent to reconnect with their past and embrace that warrior culture that is becoming lost to modern society. Those who honor their European heritage find themselves draw to some our “Woodsman” design that speaks to a time when this style was used to defend against invaders. Our experience is that introducing kids to these cultures develops a further interest in understanding where they came from. Through our children’s programs, we’ve also found that the parents also find themselves getting drawn into the mix. This is something that most can go outside and do in their backyard together. Cooking on the grill, listening to some music as you engage in some “friendly” competition to see who can hit that bullseye first. 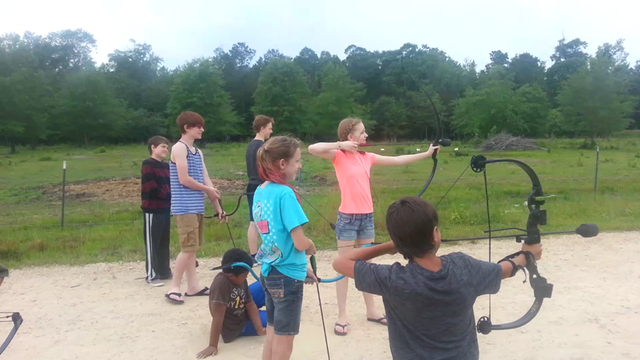 Some of the games we found parents and kids enjoyed were simple balloon popping, tic tac toe, or archery relay racing! 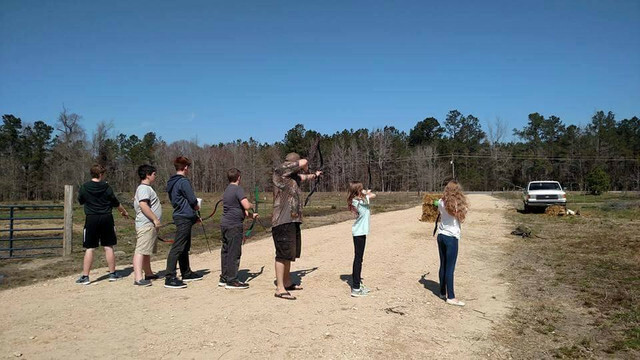 We’ve seen more and more families shed the trappings of the TV screen for some quality family time at the archery range. Many studies have been conducted to look at how meditation may be helpful for a variety of conditions, such as high blood pressure, certain psychological disorders, and pain. We have seen over the years an increase in issues such as depression and other psychological problems plaguing our children. Studies have shown the massive benefits that meditation can offer for everyone but especially for children. In early Japan, the art of Kyudo was used as a form of meditation. While it was highly ritualized, you don’t need to be that specific to benefit from the meditative aspects of archery. When shooting an arrow, parents have described to us that their kids said it feels as if nothing mattered other than shooting that arrow. It doesn’t matter what someone said on Facebook about them. It doesn’t matter that they were upset at their sister an hour ago. The stress of that stinking algebra test doesn’t get to them. Their mind’s become quiet and they are in the moment. It is indeed a beautiful thing. At Odinson Archery, hearing these things from parents really drives us to continue spreading our affordable archery gear all over the world. 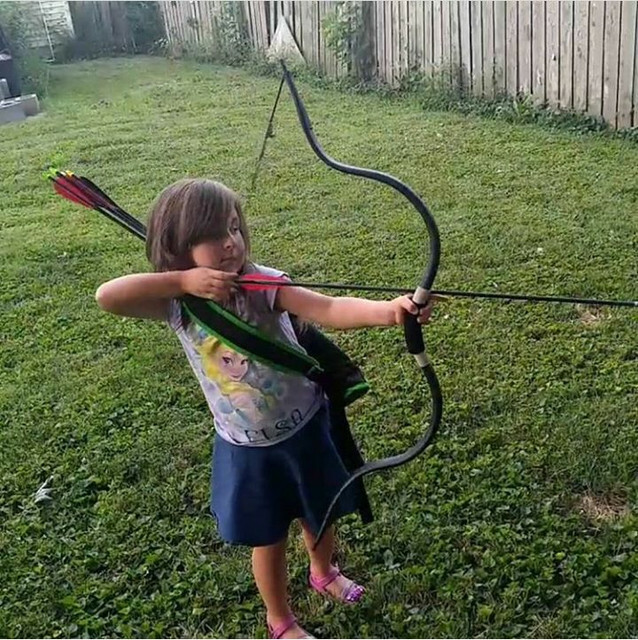 It is the reason that we made sure to offer ALL of our bows in light draw weights(45 and under means just that) so that ANY child could shoot one. 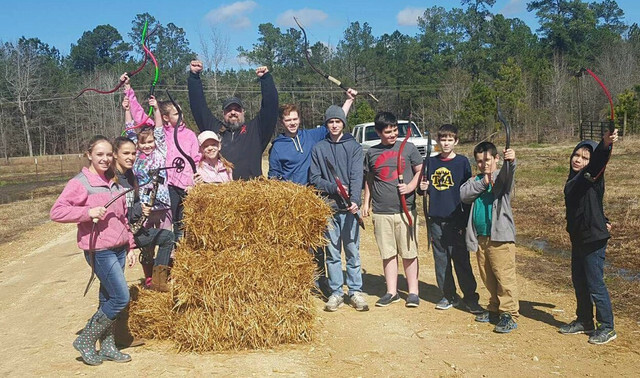 Whether it was a 25# bow for a small child or a 40# bow for a teenager; Odinson Archery has always sought to make it a priority to invest in the next generation. It’s time for you start doing the same. All the reasons my son and I got into it. Great article.